Are you ready for the Porcupine Freedom Festival? We can’t hear you….I said, are you READY for PorcFest 2012? That’s better. We get a little excited around here this time of year. 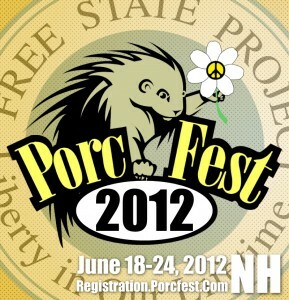 Fr33 Aid is excited to return to Agora Valley this June 18-24, 2012 in Lancaster, NH for PorcFest 2012. What will Fr33 Aid be doing at PorcFest 2012? CPR Educational Workshops – Teresa and Jacob are coordinating efforts to offer 30 minute CPR / AED demonstrations and practice classes once a day during PorcFest. We discussed doing this last year and are happy to announce that it is in the works for PorcFest 2012. They will be hosting our workshops at 2pm on Tuesday through Saturday in the Family Zone. Fr33 Heart Program – Last year we began this project with just a simple quiz and some buttons. We have given out (in person) almost 500 quizzes and the buttons to go with them. We will be continuing to help educate people on the importance of assisting right away to save a life when someone collapses of cardiac arrest. Stop by our booth to take the quiz and we’ll also give you a demo on our AED machine. Learn why it is important to take action and how long it takes to get assistance from external (government) sources. First Aid Tent – We’ll have pharmacy items available to the festival attendees, including items such as sunscreen, bug spray and band-aids. 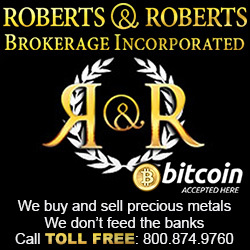 If we can assist you in a crisis at PorcFest 2012, we are here to help. Although the nearest medical center isn’t far away from Rogers, it is important to remain available in case of an emergency. We are organizing a schedule so that at least one of our first aid volunteers will be available around the clock in case of an emergency. We will have medical services phone numbers and information on hand in case anyone needs more medical attention than our volunteers can provide. Our team of volunteers has been coordinating and planning for PorcFest 2012 since just after last year’s PorcFest. We are excited to have so many great individuals on the team. Speaking of volunteers, we’d like to help reimburse them for as much as possible and are looking for a few sponsors to help offset our costs for the festival again this year. Interested? Fr33 Aid is supported by an ever-growing group of people behind the scenes with many great ideas. To help us achieve our PorcFest 2012 goals, we are seeking sponsors in a few areas. If you are interested in sponsoring us or are just willing to help us out, please get in touch with Teresa. Our sponsors’ signage will be prominently displayed to thank them for their support and you will be promoted on our website as well as our social media. Fr33 Aid is a mutual aid organization that is currently seeking IRS recognition of its nonprofit status (501(c)(3)). CPR Classes – Teresa and Jacob are coordinating efforts to offer a CPR course at Porcfest and want to help raise awareness and empower people to learn CPR. 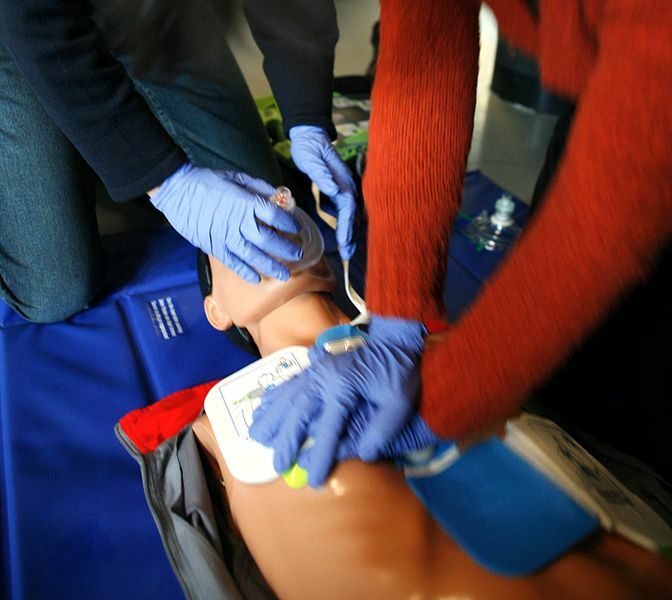 Unfortunately, good CPR dummies aren’t free. 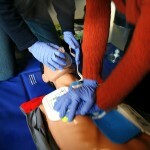 We have one that we use to demonstrate CPR at our booth, but we’d like to offer more hands-on options. Course instruction will be given for free, but we need funds to rent additional manikins for the classes to allow multiple participants to practice at the same time. When advertising for the classes we would be happy to mention our sponsor, and of course we will thank our sponsor during each class. We would also be able to put up a display or small banner during the sessions and share your website or information online here on the website and promote you in our social networks. Fr33 Hearts Program – Our Fr33 Hearts program is very popular. We help people learn about CPR by administering CPR quizzes and providing AED demonstrations in our booth. Afterward, we hand out Fr33 Heart buttons to help participants identify and remember the information we share with them. To help us continue to offer the Fr33 Hearts program with the pretty voluntary heart buttons, we are interested in purchasing a button press, which would allow us to make the Fr33 Hearts buttons ourselves. In exchange we will make and offer additional buttons with your logo on them at our Fr33 Aid booth to give away (show buttons!). We’ll also include your name on our signage as the sponsor of the Fr33 Hearts program and promote your business online through our social networks. 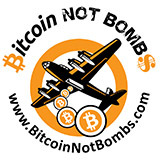 We would also be able to put your logo on 50 pins and distribute them at Porcfest 2012. First Aid Volunteer Gear – We would like to offer our first aid team some snazzy shirts to set them apart from the crowd–we’re thinking golf shirts with a pocket “Fr33 Aid” embroidered design with “Volunteer” on the sleeve. It makes for great conversations other places too which could result in the sharing of ideas we hold valuable at Fr33 Aid. If you are interested in sprucing up our volunteers, we would exchange ad space on the website and social sharing of your business info. PorcFest Survival Kits – Given that PorcFest is kind of remote, a fun PorcFest Survival Kit specially put together for the event would be a great gift to give in return for donations we receive there. The kits would include various items of “necessity” at said Porcupine Freedom Festival all packed neatly into a widemouth (BPA free!) 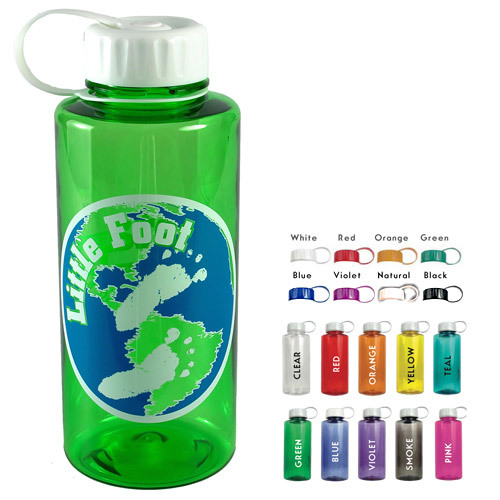 water bottle with YOUR company name on it. Please email Garland for details on this project. 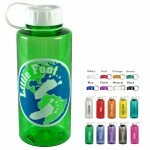 You would be responsible for purchase of the custom imprinted water bottles and shipping to Garland for her to put the kits together. A business card would also be included in the kits. If you are interested in sponsoring one of our volunteers directly, some of them are looking for lodging and/or financial assistance for the event. Please contact Teresa for more information.